How can CPA firms, their clients and the investors and lenders with whom they do business easily access shared documents? How can CPA firms ensure that their signature won’t be used fraudulently or that there won’t be unauthorized changes in their financial reports? I spend a lot of time speaking with CPAs across the country, and these are some of the questions on the minds of firms that serve private company clients. Public companies have a simple solution for sharing financial information in a secure environment. The Securities and Exchange Commission’s Electronic Data Gathering, Analysis and Retrieval (EDGAR) System collects, validates, indexes and forwards submissions from public companies’ SEC filings. It was launched in 1984 and offers public companies an efficient way to share corporate information, but there has never been a similar system to fit the needs of private companies. That can be a problem, as I’ve heard from practitioners. Here’s one scenario that illustrates why: A CPA firm’s client has an opportunity to work with a new investor who will offer a capital infusion as well as possible improved access to new markets. The client is thrilled about the possibilities, but there’s one hitch: The investor has received altered financial information in the past and is demanding reassurance about the security and authentication of the data it receives. The client turns to their CPA, hoping for a solution. Over the last several years, my team at CPA.com has been researching how today’s technology can allow private company clients to access information from their CPA firms and share this financial information with investors and lenders, as well as ensure that data has been submitted from an authenticated source. In addition, as part of our market research we found that many banks were beginning to have increasing reliance on IRS-sourced business tax returns due to their concerns around fraudulent audited financial statements. Based on this research we realized that it was critical to have a clearinghouse-type solution that would ensure the audited financial statement, one of the core services of a CPA firm, is part of the digital information highway. We also believed a solution which delivered these audited statements digitally to banks and other key users would help firms distinguish themselves in the marketplace. This spring, in partnership with Confirmation, CPA.com introduced its Repository of Intelligent Validated Inputs and Outputs (RIVIO), an online financial clearinghouse that features robust controls, easier collaboration and reduced risk for all parties. Transmissions through the RIVIO Clearinghouse are secure and verifiable unlike traditional delivery paths such as print or email, which leave open the possibilities of loss or misuse of data. The RIVIO Clearinghouse houses audited financial statements which only can be uploaded by appropriately licensed CPA firms as well as other key financial documents. The client then shares this information with specific banks, private equity firms or other users. 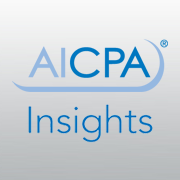 We sought the experience and insights of the AICPA’s audit and accounting teams to ensure RIVIO supports and enhances the high level of CPA firm services, and we made sure it helped to advance the goals of the profession’s Enhancing Audit Quality initiative. Clients can efficiently share financial documents with key users without raising security or privacy concerns. Firms can recall documents such as a withdrawn audit report. They can also restrict distribution of reports. Audit reports stored in the system can’t be forged or altered. Firms can differentiate themselves in their markets based on their efficient report distribution. Banks and other third parties know they can rely on the documents they receive from firms employing RIVIO Clearinghouse. RIVIO is not intended to replace firms’ existing portals. Portals will remain valuable tools that allow efficient digital collaboration between firm and client while RIVIO will facilitate the controlled distribution of client documents to lenders and investors. RIVIO basically adds another option to the practitioner’s audit toolkit because of its ability to validate users, authenticate documents and ensure financial reliability. As with any new tool, it will be important for firms to get comfortable working with RIVIO. That will be easy to do, since CPAs are invited to try out the service at no charge. CPAs add value by identifying opportunities for clients. This new option can help them address clients’ and firms’ security and authentication concerns where important documentation is concerned.